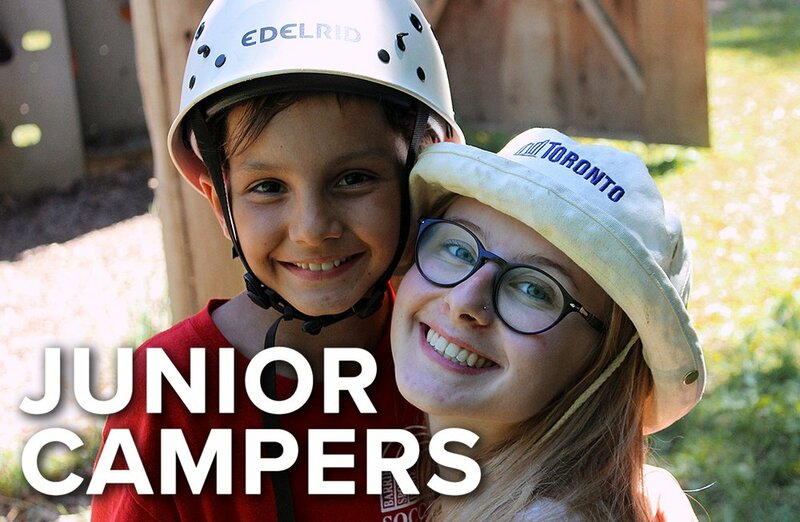 Children ages 6 to 8 year can come to camp for either a 3-night experience or try our 2-night "sampler" if they have never been to a sleep over camp before. Campers are welcome to apply for as many sessions as they choose. Due to the length of stay, busing is only available one way. Our Pee Wee program and Pee Wee sampler give our youngest campers the chance to experience some of the best parts of camp. Although we cannot guarantee all activities will be offered during their stay we love taking our Pee Wees out on water in our canoes and sail boats. We also make sure we get a chance to go to the Waterfront everyday to go swimming. When they're not on the water we organize themed programming for the campers to enjoy. On land we give them ample opportunity to explore and learn about nature, get creative with crafts, and spend time making friends and learning positive social skills.